In search of an impact bat this offseason, the Colorado Rockies appear to have found one. 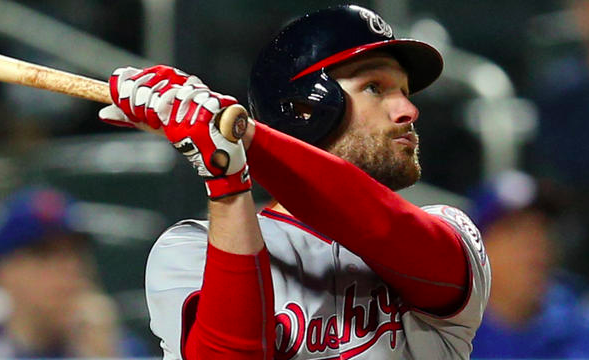 Thursday night, the Rockies reached an agreement with second baseman Daniel Murphy. The deal is worth $24 million over two seasons and is still pending a physical. However, when made official, Murphy will give the Rockies a veteran hitter in an already potent lineup. The soon-to-be 34-year-old Murphy has been one of the most consistent hitters in baseball ever since his breakout performance with the Mets during the 2015 postseason. He won the Silver Slugger Award in both 2016 and 2017 as a member of the Nationals. His best season was in 2016 when he hit .347 with an OPS of .985. Last season, Murphy missed the first two months of the season after undergoing offseason knee surgery. After returning in June, he hit .300 in 56 games for the Nationals before being traded to the Cubs. Between the Nats and Cubs, Murphy hit .299 with an OPS of .803, showing that he has plenty left in the tank. In fact, Murphy could even improve upon those stats with a full offseason of good health. On the surface, Murphy appears to be in line to replace D.J. LeMahieu at second base. However, initial indications are that Murphy will become Colorado’s primary first baseman. Murphy has played second base throughout his career, although he’s rarely been lauded for his defense. But he does bring defensive versatility and has proven himself to be a capable first baseman and third baseman. At the moment, the Rockies plan to use the largely unproven tandem of Ryan McMahon and Garrett Hampson at second base. McMahon has spent time in each of the past two seasons in the majors but is yet to reach his potential. Hampson, on the other hand, has just 40 big league at-bats. If both fail to assert themselves as viable regulars, the Rockies would have the flexibility to move Murphy over to second base. In the meantime, Murphy playing first base will force Ian Desmond back to the outfield. Desmond has failed to live up to the $70 million contract he signed a couple of years ago. But with so much money invested in him, he will continue to get opportunities. He figures to become Colorado’s primary center fielder, flanked by Charlie Blackmon in left field and David Dahl in right field. While Murphy’s age and recent injury history make him a risky signing, he also offers plenty of upside. In the past, Murphy has been both a run producer and table-setter. Also, despite his defensive shortcomings, he does offer versatility. His experience producing in the postseason certainly doesn’t hurt either. Ultimately, this is a big signing for the Rockies, one that should make them a better team in 2019.